I love a good stew. And this is a good stew. I was determined to try a somewhat traditional Irish recipe to celebrate my Irish roots (because St. Patrick’s Day should not ONLY be celebrated with green desserts and green candy. Ha!). I was somewhat disappointed that every recipe I found that was considered Irish had some sort of beer in it. Since I am not an alcohol drinker, I figured I’d attempt a stew recipe without beer. I used what I had on hand, of course. I’ve cooked meats in Coca-Cola before, and I almost always have Coke Zero on hand, so a can of Coke was the obvious alternate. Note: I did leave the red cooking wine in the recipe since I do keep some cooking wine in the back of my shelf for the occasional recipe. 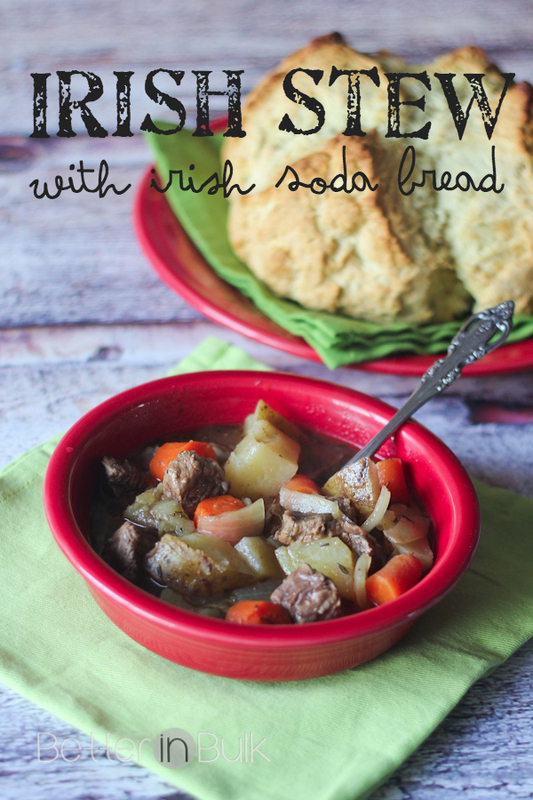 My untraditional addition to the traditional Irish stew was pure perfection…but the real star of this dinner was the Irish soda bread. 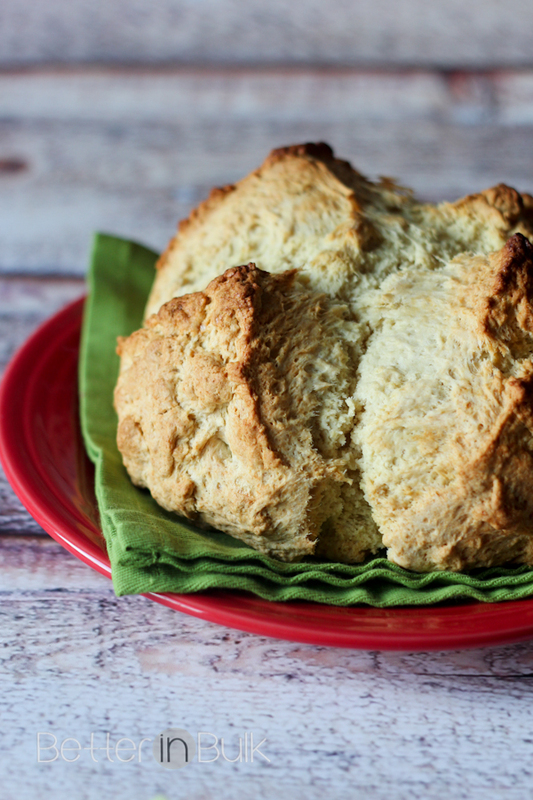 If you’ve ever made Irish soda bread, you’ll know that it isn’t pretty. It’s far from being pretty, but it makes up for it’s looks in the way it tastes. I don’t know if I will ever eat a stew without a nice chunk of soda bread on the side for dipping. After studying and comparing several recipes, I made one last change: I threw it all in my crock pot so that it could slow cook all day. 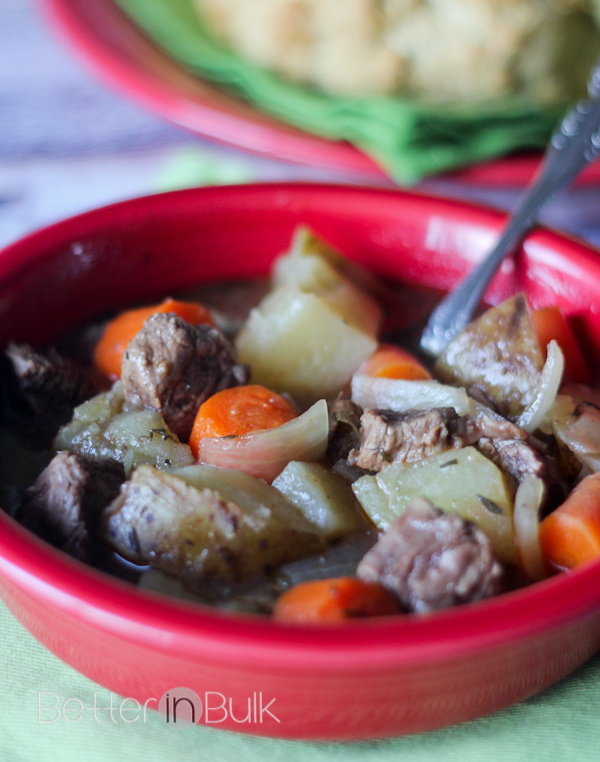 This Irish Stew deviates from traditional Irish Stew with the substitution of Coke for the beer and beef instead of lamb, but it still has the wonderful flavors and aroma of a good, hearty Irish stew! Salt and pepper stewing meat. Brown in olive oil over medium-high heat in a large sauce pan for about 2-3 minutes an each side, just until the sides are browned but middle is still red. Add meat to the slow cooker. Pour wine, Coke, broth, and next 5 ingredients (tomato paste through bay leaves) on top of meat. In same saucepan, add another 2 Tablespoons olive oil and saute vegetables (garlic, potatoes, onions, and carrots) for 5 minutes over medium-high heat. Add sauteed veggies to slow cooker and stir. Cover and cook on low for 6-8 hours. Before serving, remove bay leaves, add fresh parsley and add additional salt and pepper to taste. Serve with Irish Soda Bread (see notes). Makes one large, round loaf. Knead dough on a floured surface for about 5 minutes. Form a ball and place on greased cookie sheet. With a sharp knife, cut an X into the top of the loaf. Brush with 2 Tablespoons melted butter combined with 3 Tablespoons buttermilk. Bake in a preheated oven for about 50 minutes, or until toothpick inserted in the middle comes out clean. Brush loaf with butter/buttermilk mixture a few times during baking. To serve, break off chunks of loaf and use to dip in stew. Looks so good! Thank you for sharing. 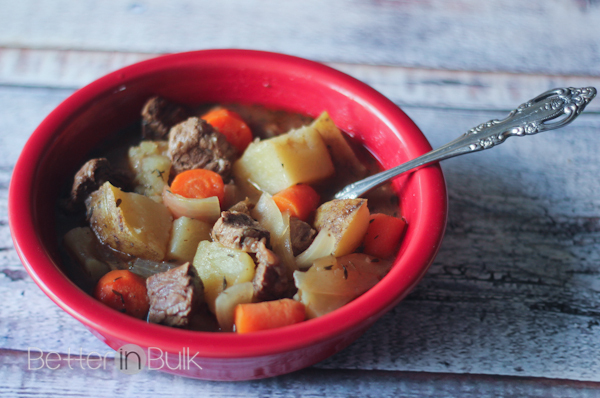 I love this recipe with stew meat instead of brisket, makes things much easier. Then the soda bread to go with it – what a great recipe! I want to make this asap!!! looks amazing. my husband LOVES this kind of recipe.